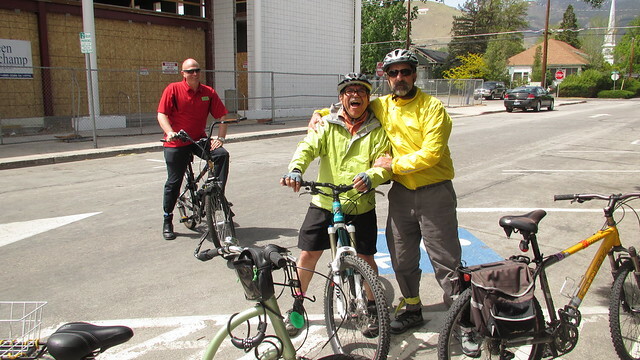 As May comes to a close, it’s time to look back on all the fun events we had during Bike Month and thank our volunteers and sponsors who made it all possible! 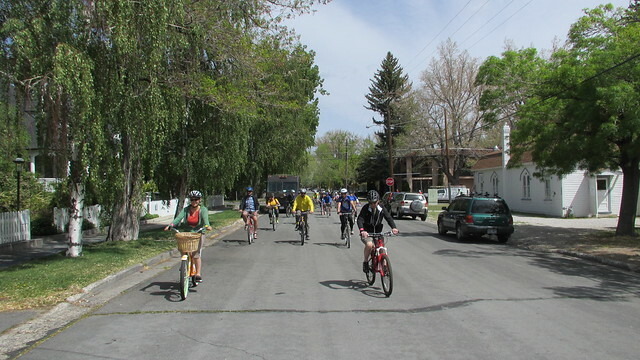 On May 4th the Bike Habitat hosted the Tour of Carson City, a nearly 30 mile ride around the perimeter of the city. The warm and pleasant morning help set the tone for the ride, as organizer Denis Coyne gave his pre-ride talk. After instructions, dozens of riders headed out to enjoy the ride. 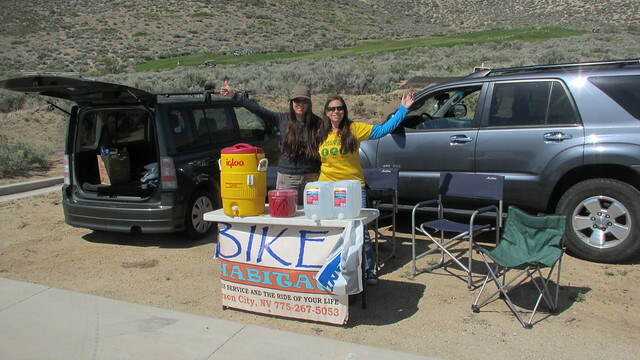 A rest stop was included this year over by the hospital on the north side of town. 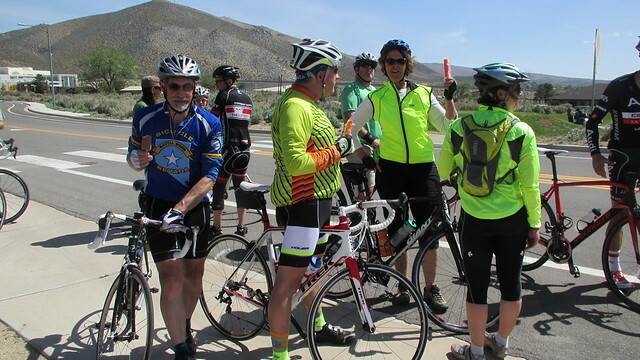 Before making the final ride south to the Bike Habitat, riders refilled their bottles with cold water, and treated themselves to ice cream, popsicles, and licorice. I worked the rest stop this year, and had just as much fun talking to all the riders as I would have doing the ride itself! The ride wrapped up at the Bike Habitat where owners Denis and Viola provided a delicious lunch. 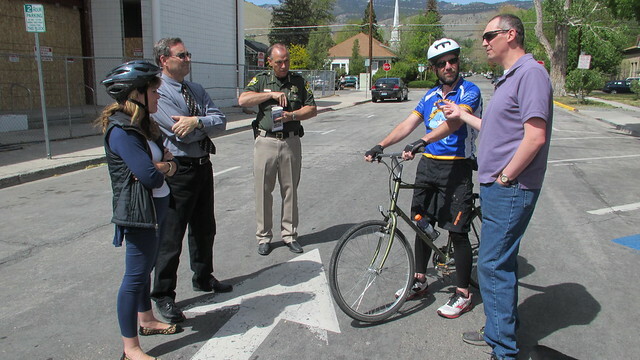 More photos from the Tour of Carson City HERE. 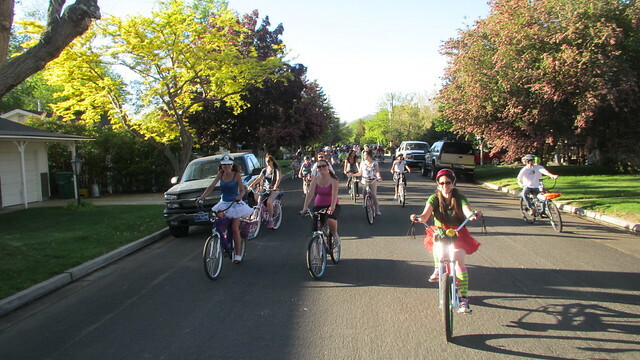 The annual Celebrity Ride was on the morning of May 5th. This event has really grown since its inception when only one city supervisor was involved. This year we had the Mayor, the brand new City Manager, members of the Board of Supervisors, the Sheriff, leaders of Parks and Recreation and Open Space, the City Transportation Manager, the Superintendent of the Carson City School District, members of the press, and more! 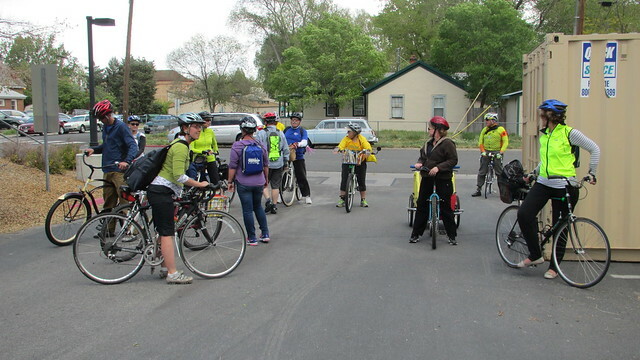 It was a great opportunity to get all the city leaders out together to talk about bikes and enjoy the warm Spring morning with a leisurely bike ride. More photos from the Celebrity Ride HERE. 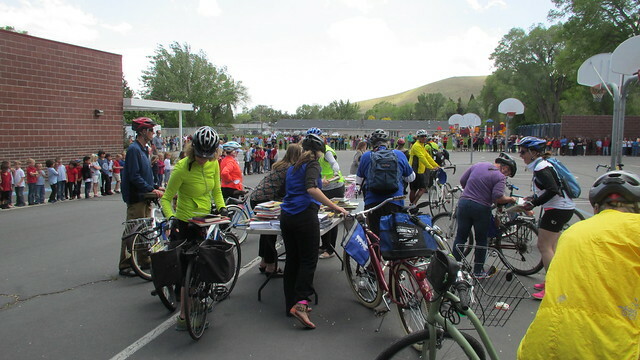 A new event this year was the week-long Ride for Reading starting on May 5th. 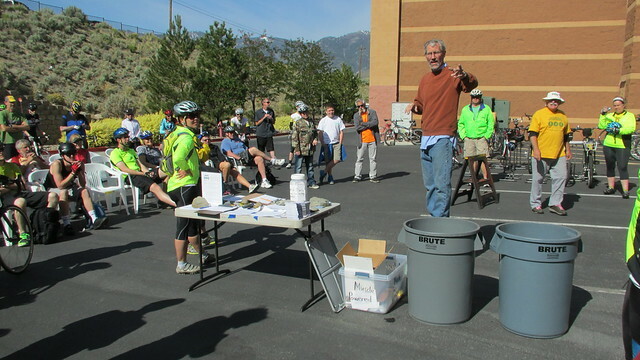 The ride began over at Carson City Health and Human Services, where we loaded bikes, bags, and baskets full of donated books. 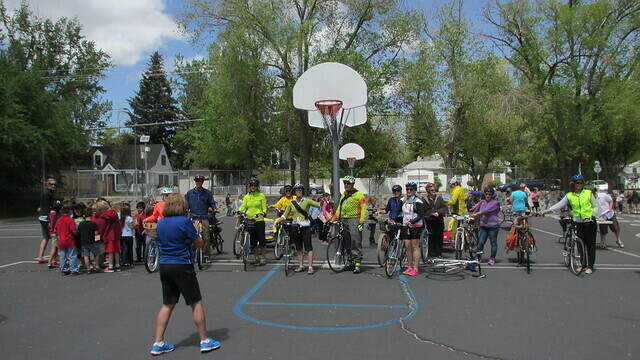 From there we pedaled over to Bordewich Elementary school, where a few hundred kids were awaiting our arrival. 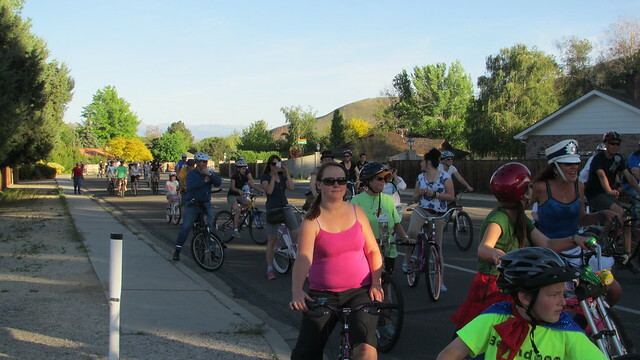 We entered the playground and made a parade lap as the kids cheered loudly for bikes and books. After a short safety talk by event organizer Cortney Bloomer, the kids were able to go pick out their own book. The Ride for Reading was definitely one of the highlights of the month for me. 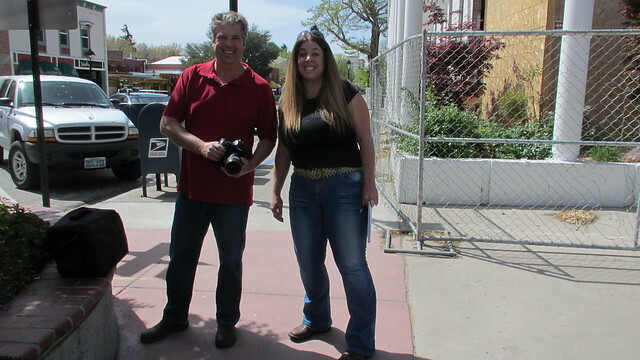 This event continued the rest of the week, with deliveries being made to other area schools. 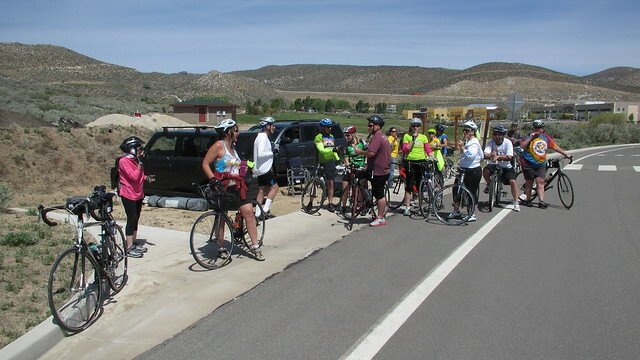 More photos from the Ride for Reading HERE. 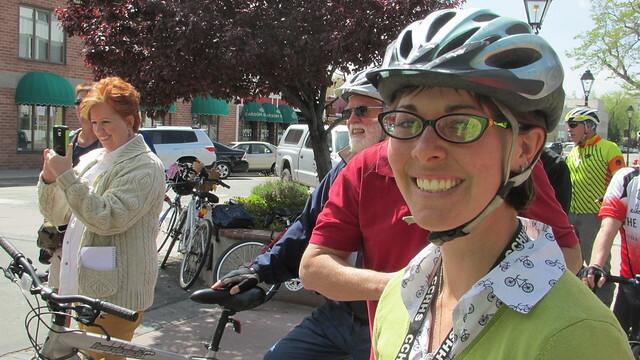 May 12th was the start of Bike to Work Week. 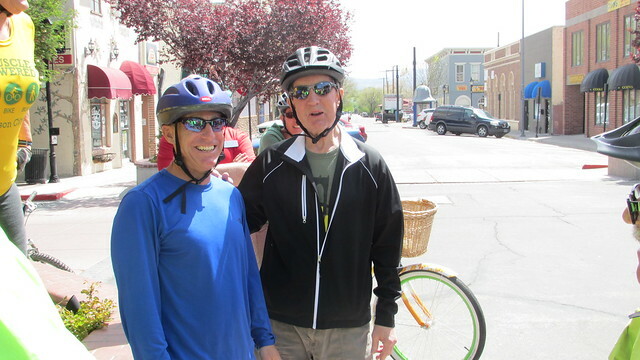 Businesses all over town competed in the annual Corporate Bicycle Commuter Challenge throughout the week. 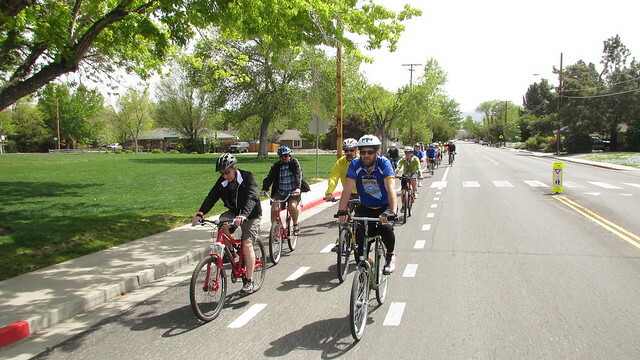 Good weather encouraged participation this year, and cyclists in the challenge collectively logged 4,398 miles, and made 680 trips by bicycle! Good job everyone. The final results for this competition and other statistics can be found HERE. 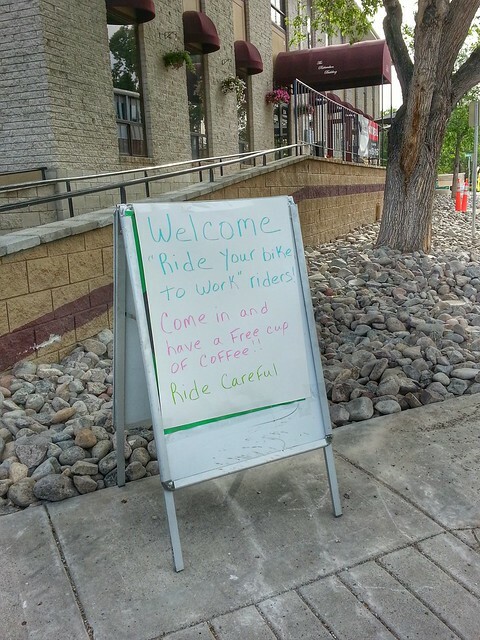 Local coffee shops Capital Coffee and Comma Coffee treated bicycle commuters to free coffee on Bike to Work Day as a reward for their efforts. 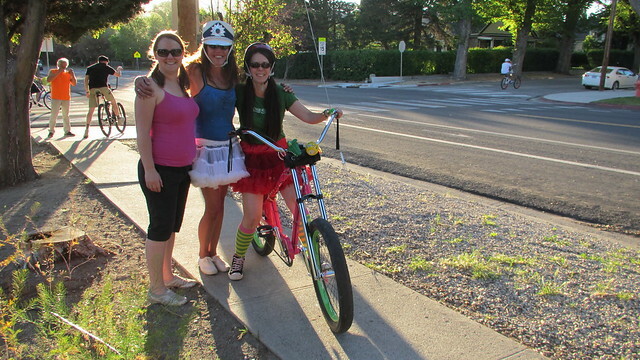 If one had to pick the most fun event of Bike Month, the Westside Cruiser Ride would be it. Well over a hundred people gathered at the Brewery Arts Center, the staging area for the ride. 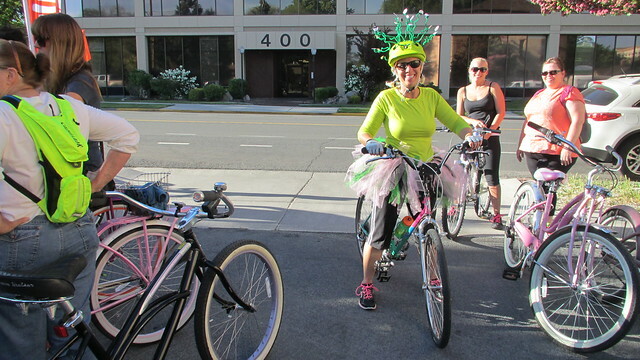 Costumes and bike decorating are encouraged for this fun parade style ride, and the riders did not disappoint! There were helmet antennae, tutus, capes, wigs, and even one crocodile costume. We encountered very little traffic along the route, and it was fantastic to see all the smiles and waves from the neighborhood residents. It was also great to see even more participation by the kids this year. 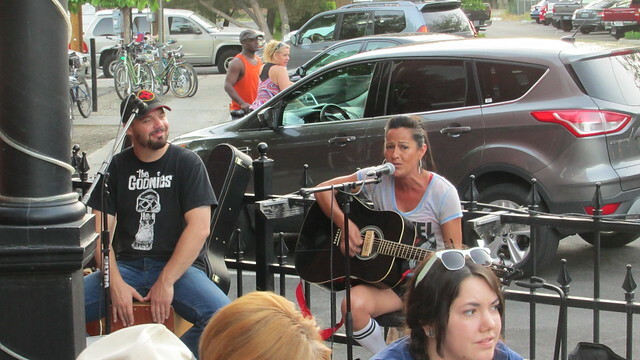 After the ride, many of us went over to the Firkin and Fox for refreshments and live music. 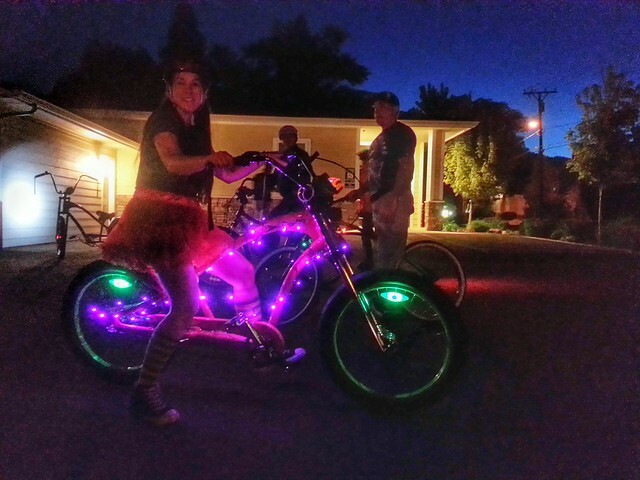 After dark, we lit up the lights for another fun ride home. 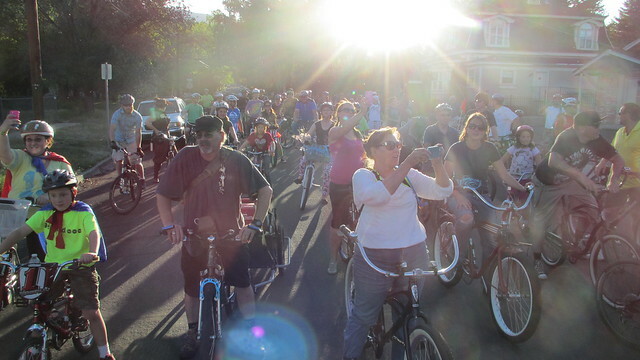 More photos from the Westside Cruiser Ride HERE. 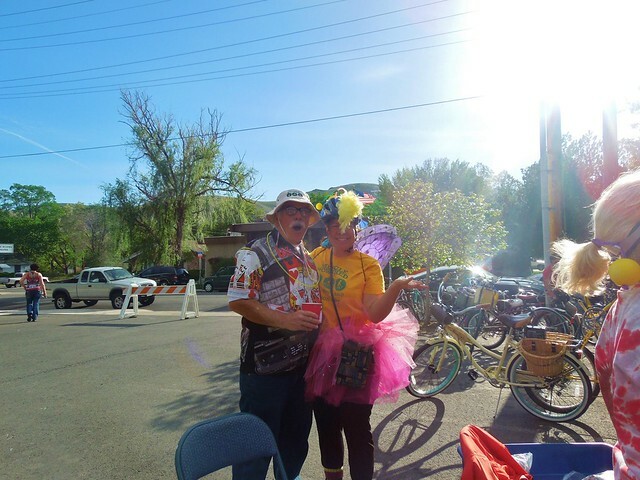 On May 16th we had our Bike to Work Week Party. 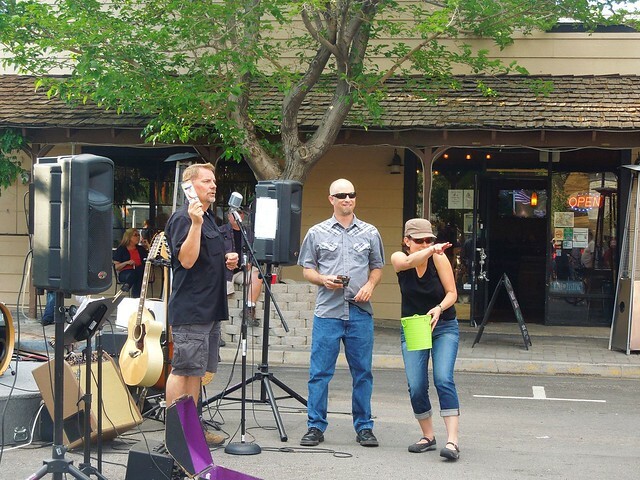 Riders began rolling in after work on Friday to the Firkin and Fox ready to celebrate the week. People lined up to get their raffle tickets for all the wonderful prizes we had collected from our local businesses. Notch 8 played music between events and giving away raffle prizes. There was a helmet decorating table for the kids, and we had a couple bike games this year. The Slow Drag was funny to watch, with the last rider to cross the finish line declared the winner. 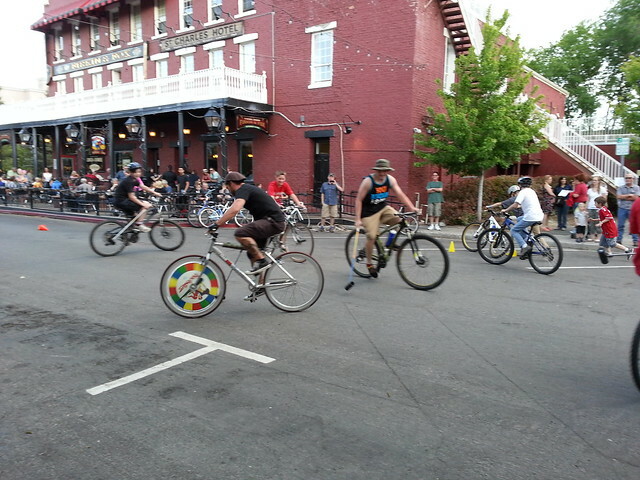 We also had a few games of Bike Polo. Originally the adults were going to do a polo exhibition, but it ended up being the kids that dominated the games. 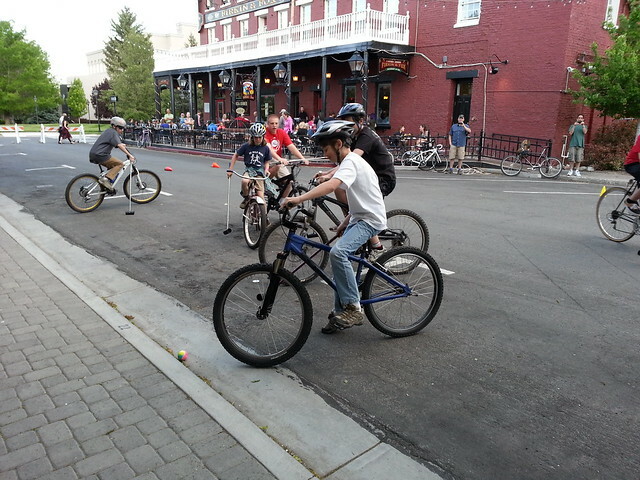 Bike Polo continued throughout the evening until we had to reopen the street at 9:00 PM. 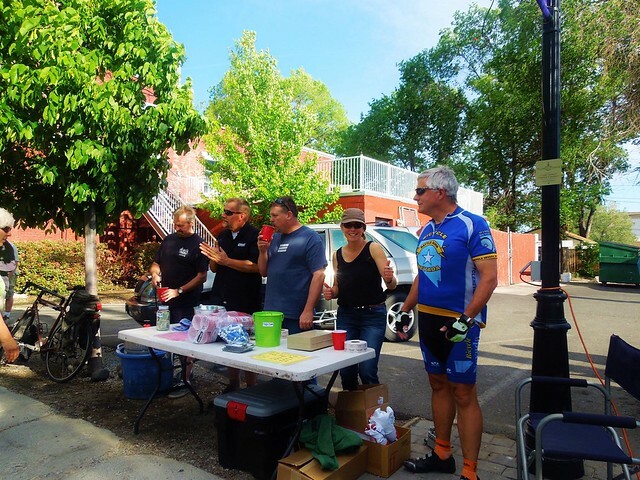 The Corporate Challenge results were announced, and all the raffle prizes were given out including the two highly sought after cruiser bikes. 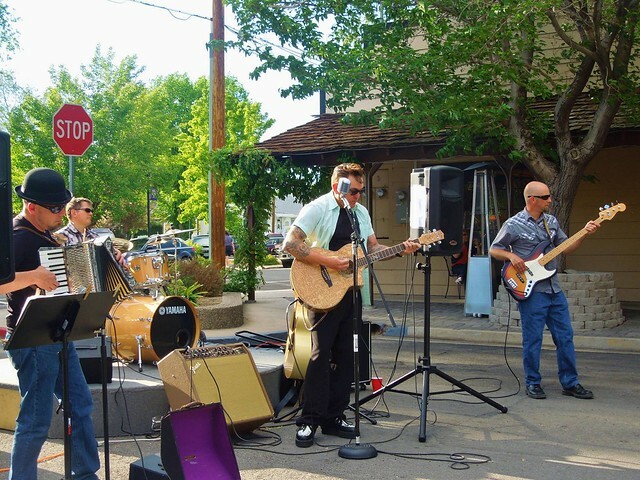 Not only was it a fun party, it was a very successful fund raiser for Muscle Powered. Get your beer and raffle tickets here! 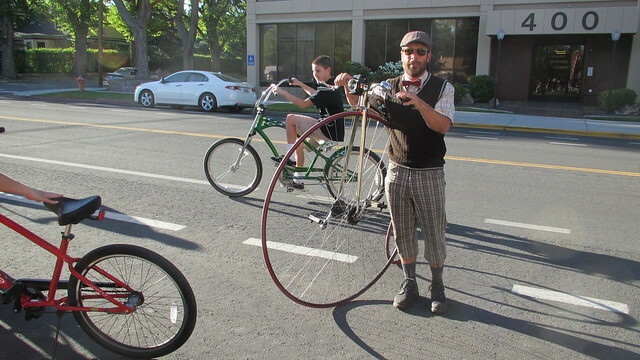 More photos from the Bike to Work Week Party HERE. 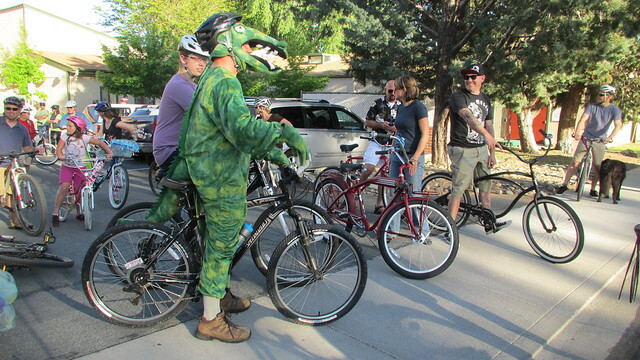 On May 20th we had our Bicycle Movie night at Sassafras. The weather really changed this week, and it had rained most of the day. Most of us opted to drive to the movie that night. Mike Wiencek hosted movie night, where we showed the cycling classic, Breaking Away. Moviegoers enjoyed a night of movie trivia, great food and drinks, raffle prizes, and a fun film. What a great month it was! Thank you to everyone who attended the events and made them so fun, all the Muscle Powered volunteers that gave their time at the events, the bike shops for keeping our bikes running, and a very special thank you to all our Bike Month Sponsors who make the events possible and help raise money for all the great bicycle and pedestrian projects happening around town. What a great community!